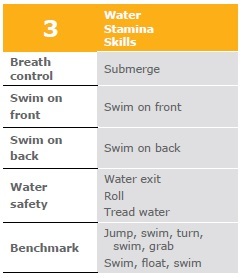 The YMCA Swim Lesson programs promote children’s health and safety. The program supports parents and encourages their participation in teaching kids valuable life skills. YMCA Swim Lessons teach positive values and give kids the opportunity to practice while promoting their growth in self-esteem and self-worth while they are having a great time. Read the class descriptions! Start with your child’s age group. Read & find the skills your child can do. If your child has the skills listed, then register for that level. Remember, placing a child in the incorrect level will be a disservice to both the child and the other class members. 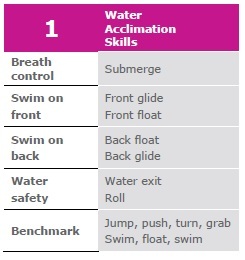 Request a YMCA Swim Level Lesson Placement and Evaluation. A swimming instructor will be available to evaluate your child’s skills for placement into the appropriate swim lesson level. YMCA Swim lessons will run two sessions within each series to allow equal opportunity for registration and for appropriate level registration after the child’s completion of a previous series’ class level. Note: Classes that meet two times per week run on the “A” and “B” schedules below. Friday (adaptive lessons) and Saturday classes follow the regular full session dates. There will be no classes during the week of Thanksgiving (November 19 – 24). Class prices will be prorated. There are no classes from December 16, 2018 through January 6, 2019. Classes in the Early Spring and Late Spring sessions are Saturdays one per week. Classes in the Early Spring A, Early Spring B and Late Spring A sessions are either Monday and Wednesday or Tuesday and Thursday each week. Information regarding Expectations, Responsibilities and Frequently Asked Questions can be found HERE. 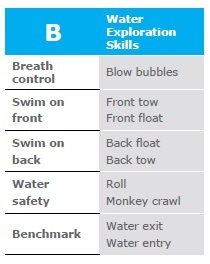 Develops water enrichment and aquatic readiness in children. In the two stages that make up this parent-child category, children learn to be comfortable in the water. 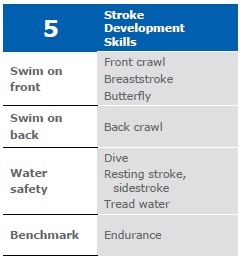 Rather than teaching children how to survive in the water or become accomplished swimmers, Swim Starters focuses on developing swim readiness skills through fun and confidence-building experiences. 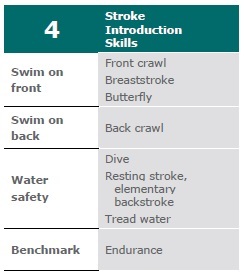 Parents also learn essential skills in Swim Starters. 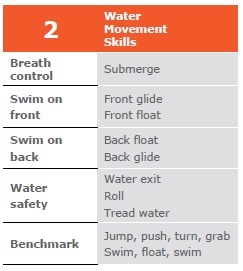 Close supervision is the best way to prevent drowning. Parents learn how to supervise children in the water, how to prevent accidents, and how to plan for emergencies. 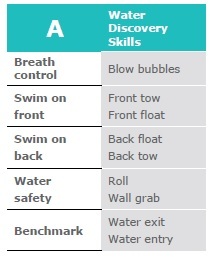 Develops personal water safety and basic swimming skills in students of all ages. Introduces and refines stroke technique in advancing students. For learning swimmers age 13 and up, we offer weekly lessons in a small group setting. Class instruction will be designed for the needs of the students in attendance with an emphasis on safety. Please check our lesson schedule for days, times and prices. We offer swim teams for children ages 5 to 18 years at both our Bellefonte (including a summer team at Kepler Pool) and State College branches. We offer certification and employment opportunities for lifeguards and swim instructors ages 16 and up. – Already certified? Fill out an application HERE and return to your nearby YMCA of Centre County branch. We offer lap swimming times at our State College and Bellefonte branches so you can turn swimming into a lifelong fitness activity! Pool schedules are HERE FOR STATE COLLEGE and HERE FOR BELLEFONTE. Swim lessons are available to children with special needs in our therapy pool. Instructor to student ratio is low. A water wheelchair and ramp into the pool are available. Since adapted lessons meet on Friday or Saturday, the session schedule will follow the Saturday scheduled dates. The Friday evening classes are one-to-one instructor/client and the Saturday class is one-to-three instructor/client. We recommend the Saturday classes for those who are capable of working in a small group. Our private swimming lessons are a very popular alternative to our group lessons. Private lessons are 30 minute, 1 to 1 lessons with an experienced swim instructor. 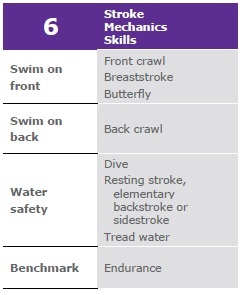 Lessons are designed specifically for your swimmer’s needs and can be scheduled at a time that is convenient for you. Adults are welcome! Please fill out the private-swim-lesson-request-fillable and submit either to the front desk of the YMCA or online to [email protected] so that we may match you up with an instructor who meets your skill and availability needs. You will pay for the lesson only after you have been contacted by the instructor to schedule your first lesson. Cost for a single lesson is $31 for members, $47 for non-members, or you can purchase lessons 4 at a time, for $107 for members, $161 for non-members.